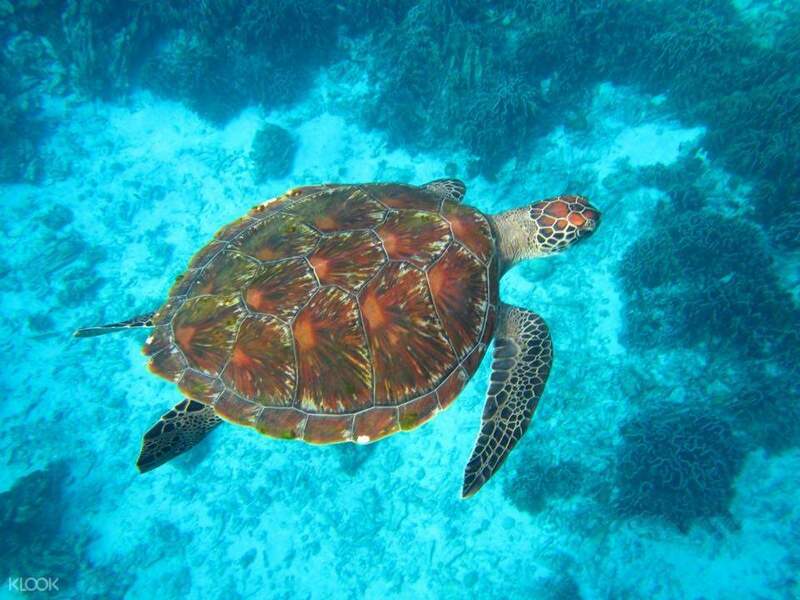 Embark on an exciting water adventure to see some of the world’s well known snorkeling sites and beautiful beaches. 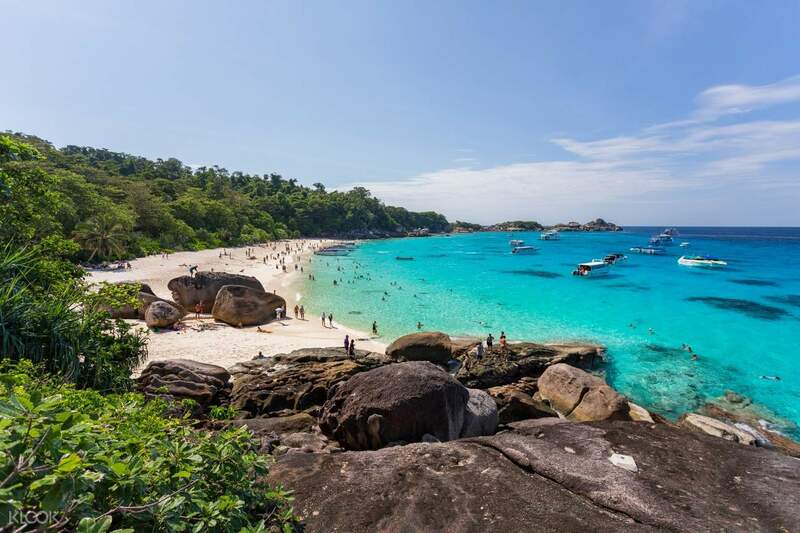 Visit Similan Islands and get to witness its breathtaking array of various islands! Hop aboard the Seastar speedboat located at the private pier to kick off your snorkeling expedition. Start your exploration by visiting Island No.5 and No.6. Then, head over to Island No.4 (Koh Miang) for some relaxing time at Princess Bay. Indulge in a delectable lunch buffet with drinks at Koh Miang to fuel your energy for the next snorkeling sites. After regaining energy, make your way to the breathtaking Island No.9 (Koh Ba Ngu) and Christmas Point (Namchai Bay) where you can see vibrant coral reefs and schools of fish hovering around their natural habitats plus other marine creatures that would surely reinstate your love for the sea! 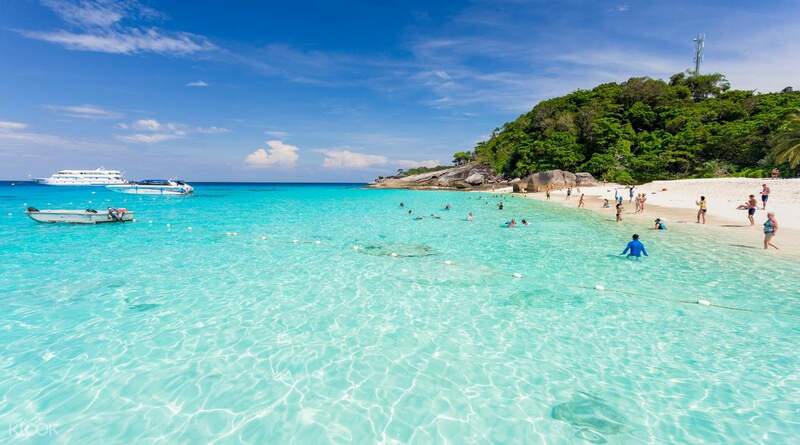 Visit Island No.8 (Koh Similan) and see the archipelago’s famous landmark, the Sailing Rock. Get the chance to climb up the rock and witness breathtaking views of the whole islands. Have a hassle free day tour with round trip transfer services available for your ease and comfort. Very Nice trip, with lots of sightseeing and beautifull beaches. Stuff were very kind, understanding and helpfull. We really enjoied our day. Recommend. Very Nice trip, with lots of sightseeing and beautifull beaches. Stuff were very kind, understanding and helpfull. We really enjoied our day. Recommend. Sea star is a good organised, the tourist guide are really cute and funny keep using some special word to make us laugh. And they service are super good they prepare every thing that we usually need like seasickness medicine, towel, anti-mosquito cream, goggle, and etc. The only fly in the ointment is the pick up time not accuracy, I wait the driver more than 30 minutes. Anyway it is a nice trip and nice experience. You must try. Sea star is a good organised, the tourist guide are really cute and funny keep using some special word to make us laugh. And they service are super good they prepare every thing that we usually need like seasickness medicine, towel, anti-mosquito cream, goggle, and etc. The only fly in the ointment is the pick up time not accuracy, I wait the driver more than 30 minutes. Anyway it is a nice trip and nice experience. You must try. worth the early wake up and the price (and the sunburnt). the view was amazing. The guide, Wei, and the team are awesome. they are helpful, funny and informative. Driver was on time too. thumbs up! worth the early wake up and the price (and the sunburnt). the view was amazing. The guide, Wei, and the team are awesome. they are helpful, funny and informative. Driver was on time too. thumbs up! We had a wonderful time with Seastar at Similan Islands thanks to our tour guides, Oak, Boss and Beatrice. They were friendly, helpful and very hospitable throughout the entire excursion. They brought us to the best photo spots at Sail Rock (which are slightly off the main trek) and were very kind to offer to help take plenty of photos for us. Plenty of snacks and drinks were provided before, during and after the trip. A breakfast buffet is provided upon checking in, biscuits and fruits are served around after each activity and another buffet was provided upon returning to the jetty. They seemed to have an unlimited supply of chilled bottled water and Pepsi on the boat as well. Lunch boxes were provided during lunch and honestly, were not as bad as some other reviews make them out to be. Our lunch boxes came with fried chicken, pineapple prawn, stir fried chicken, white rice and pasta. While not the best meal we had, they certainly weren't terrible. The excursion is available in English, Chinese and Thai, and participants will be grouped separately based on this during check in. Was a bit annoyed by the check in staff as they tried insisting on putting us in the Chinese group even though we don't understand Chinese and are not Chinese. Then, for whatever reason, they sorted us in the Thai group and finally in the English speaking group when their tour guide did roll call before departing. As for the booking process, they were able to confirm our booking within 24-hours. We initially tried to book with another operator via Klook but they were unresponsive and did not confirm our booking even within 3 days. Our morning pick up was slightly delayed but the tour operator was contactable. The return journey took almost 3-hours due to heavy traffic. A lot of time will be spent travelling on the shuttle van and boat (another 1+ hour each way) so this may not be for everyone. The marine life at Similan Islands was actually quite poor and most of the corals were bleached. If you are keen on snorkelling, this activity will be quite disappointing. The beaches are beautiful though very crowded. Still, we had a great time and would recommend Seastar to others. We had a wonderful time with Seastar at Similan Islands thanks to our tour guides, Oak, Boss and Beatrice. They were friendly, helpful and very hospitable throughout the entire excursion. They brought us to the best photo spots at Sail Rock (which are slightly off the main trek) and were very kind to offer to help take plenty of photos for us. Plenty of snacks and drinks were provided before, during and after the trip. A breakfast buffet is provided upon checking in, biscuits and fruits are served around after each activity and another buffet was provided upon returning to the jetty. They seemed to have an unlimited supply of chilled bottled water and Pepsi on the boat as well. Lunch boxes were provided during lunch and honestly, were not as bad as some other reviews make them out to be. Our lunch boxes came with fried chicken, pineapple prawn, stir fried chicken, white rice and pasta. While not the best meal we had, they certainly weren't terrible. The excursion is available in English, Chinese and Thai, and participants will be grouped separately based on this during check in. Was a bit annoyed by the check in staff as they tried insisting on putting us in the Chinese group even though we don't understand Chinese and are not Chinese. Then, for whatever reason, they sorted us in the Thai group and finally in the English speaking group when their tour guide did roll call before departing. As for the booking process, they were able to confirm our booking within 24-hours. We initially tried to book with another operator via Klook but they were unresponsive and did not confirm our booking even within 3 days. Our morning pick up was slightly delayed but the tour operator was contactable. The return journey took almost 3-hours due to heavy traffic. A lot of time will be spent travelling on the shuttle van and boat (another 1+ hour each way) so this may not be for everyone. The marine life at Similan Islands was actually quite poor and most of the corals were bleached. If you are keen on snorkelling, this activity will be quite disappointing. The beaches are beautiful though very crowded. Still, we had a great time and would recommend Seastar to others. Tour was operated under Seastar company and it was very well organized. Tour guides made sure that yo're comfortable the whole journey. Similan islands were lovely and there's not much tourist compared to other areas. Tour was operated under Seastar company and it was very well organized. Tour guides made sure that yo're comfortable the whole journey. Similan islands were lovely and there's not much tourist compared to other areas. Excellent tour with great views of Koh Similan.. tour guide is helpful and really take care of the tourist right from the start of the tour.. 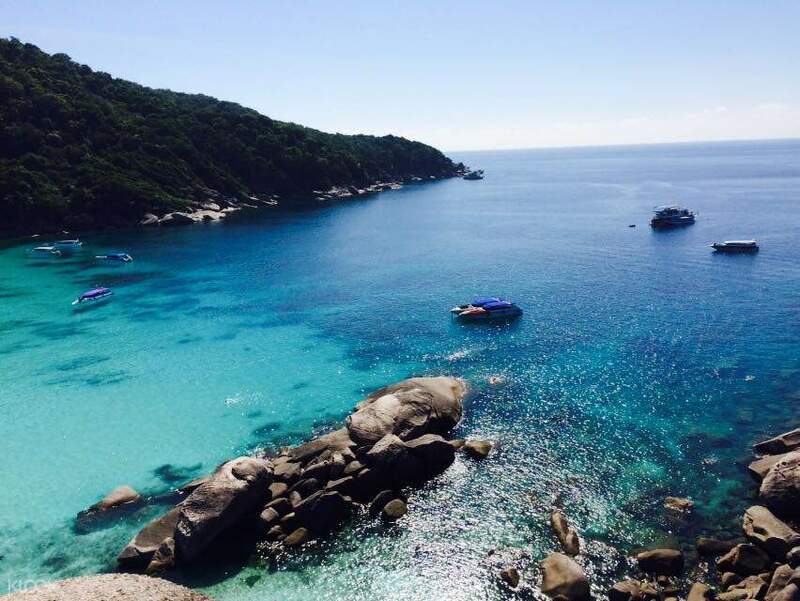 Excellent tour with great views of Koh Similan.. tour guide is helpful and really take care of the tourist right from the start of the tour.. Impressive tour from Seastar! Thank you klook for giving me a great experience in similan island. Not only was the tour guide friendly and interactive, she took the effort to guide us around the island to see various marine life in the ocean. Impressive tour from Seastar! Thank you klook for giving me a great experience in similan island. Not only was the tour guide friendly and interactive, she took the effort to guide us around the island to see various marine life in the ocean.